WHEP State Contest will be held on Saturday, April 27, 2019 from 9AM-3PM at NWTF Headquarters in Edgefield, SC. 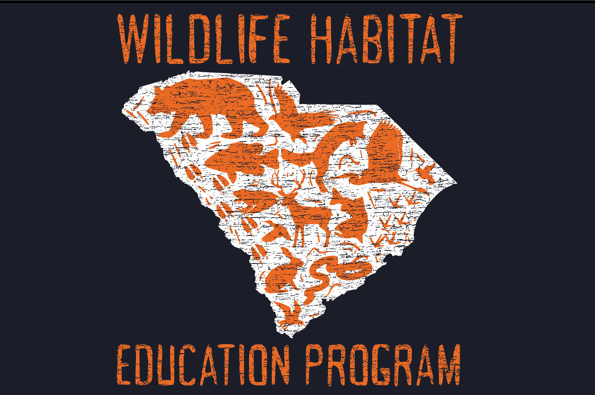 The Wildlife Habitat Education Program (WHEP) is a hands-on environmental education program that provides participants an opportunity to test their wildlife knowledge in a friendly competition, as each state supporting WHEP conducts an annual contest where teams of 3-4 similarly aged individuals gather. WHEP is a 4-H and FFA youth natural resource program dedicated to teaching wildlife and fisheries habitat management to junior and senior level (ages 9 - 18) youth in the United States. This event is a hands-on contest for youth (ages 9-18) to put their knowledge and skills related to wildlife and habitat management to the test! Our WHEP State Contest will be held at NWTF in Edgefield, SC. Lunch and an event t-shirt will be provided to registered participants. Additional lunches and t-shirts can be purchased for $10 each with registration as needed. Ages are calculated as of January 1, 2019. For questions and more information, please contact Glenda Lofink at glofink@clemson.edu. For WHEP questions related to 4-H, please contact Mallory Dailey at mallord@clemson.edu; for WHEP questions related to FFA, please contact Jason Gore at jdgore@clemson.edu. Sounds like a great learning opportunity!